Quoting Pew Research Center numbers, BusinesInsider reports that 25 percent of US adults, or more than 59 million individuals, already have a tablet. That’s impressive, but all the more so given that represents growth of 32 percent over the eight months leading up to August when Pew did its tabulations (above). For what it’s worth, smartphone sales grew by 15 percent over the same timeframe to 117 million units. So, assuming tablet growth continues to double smartphone growth, slates and slabs will overtake not only PC sales but smartphones, as well. Whereas the current high water mark shows one in four US adults have a tablet, I wonder how many only have a tablet and no PC? An iPad Christmas or mini-mass 2012? Apple is expected to ship 30 million total Apple tablets this quarter and more than 80 million for the year. And, if you’d like to quibble over the “expected to ship” qualification, it bears remembering Apple is selling every iPad mini it can make — there’s at least a two week wait to get one. Although a lot of $69 Android “tablets” are certain to sell, and then moulder in a drawer somewhere, Amazon Kindle HD, Windows Surface and mainstream Android slate sales have yet again failed to excite consumers this year. 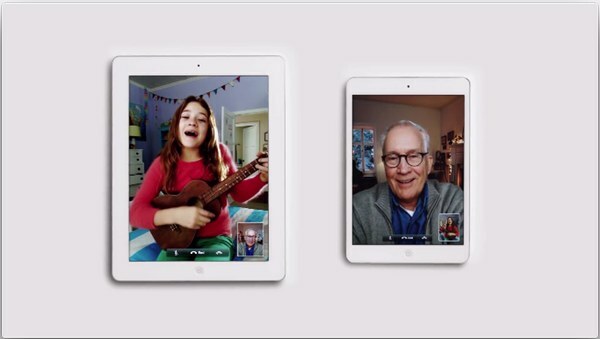 Nevertheless, even if Samsung, Amazon, Microsoft and the rest of the “other than the iPad” rabble do sell a few slabs, Apple is having yet another iPad Christmas — they’re just killing it.